It’s that time of year again, and our pastry chefs have outdone themselves! With displays at both Disneyland and Walt Disney World Resorts, as well as Aulani and aboard each Disney Cruise Line ship, there are dazzling gingerbread displays wherever you go! 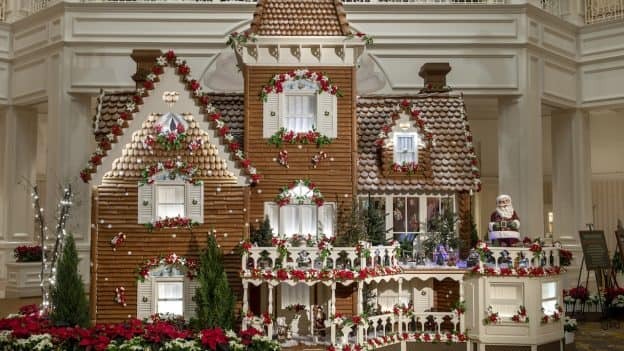 Here’s all of the info you need to know on this year’s holiday gingerbread displays. 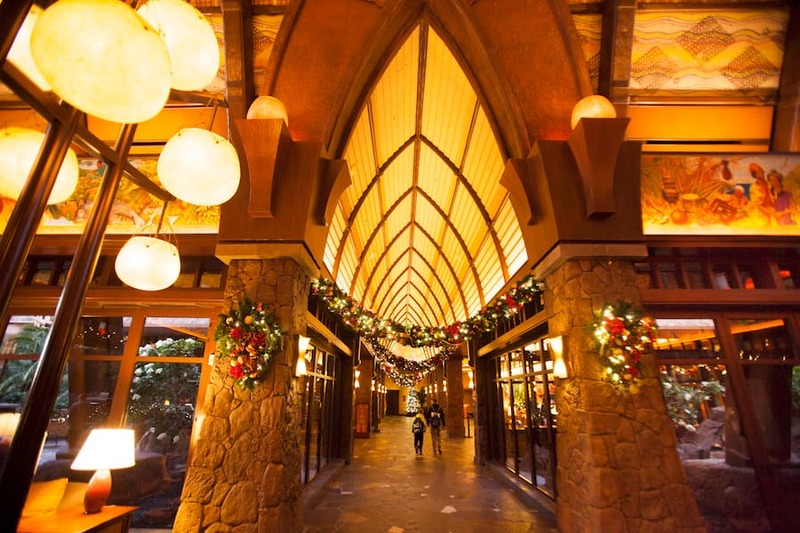 Say aloha to “A Kakamora Holiday” this season at Aulani Resort! 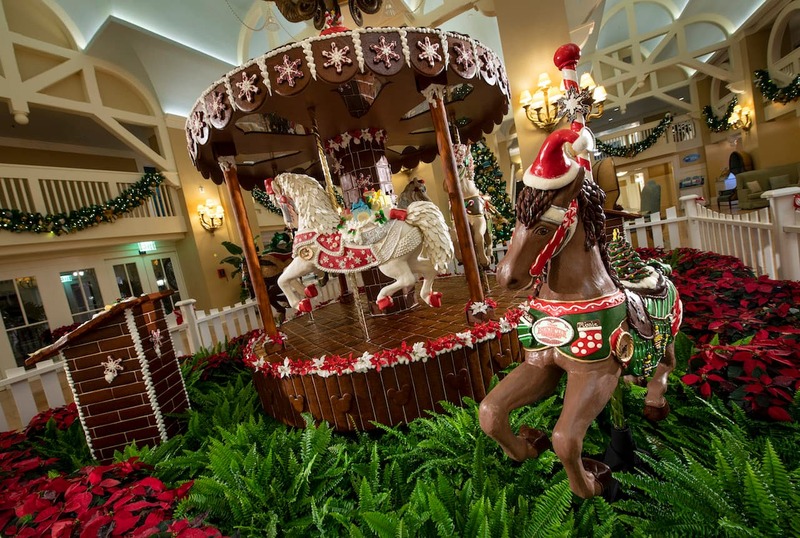 This chocolate and gingerbread display consists of an LED-lit chocolate tree, a Moana-inspired gingerbread hut, a chocolate sleigh, coconut pirate Kakamoras decorating for the holiday the season in the tropics. 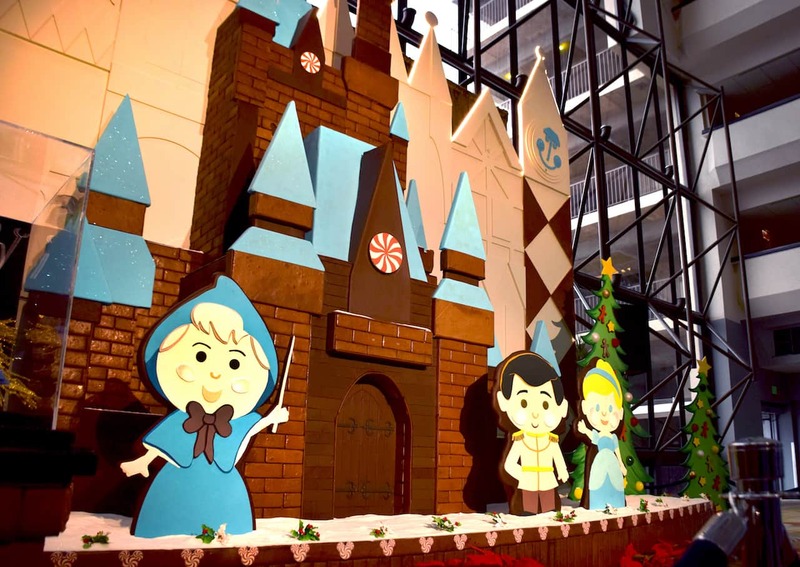 The display will be six feet long and consists of hundreds of pounds of gingerbread, chocolate, and icing! 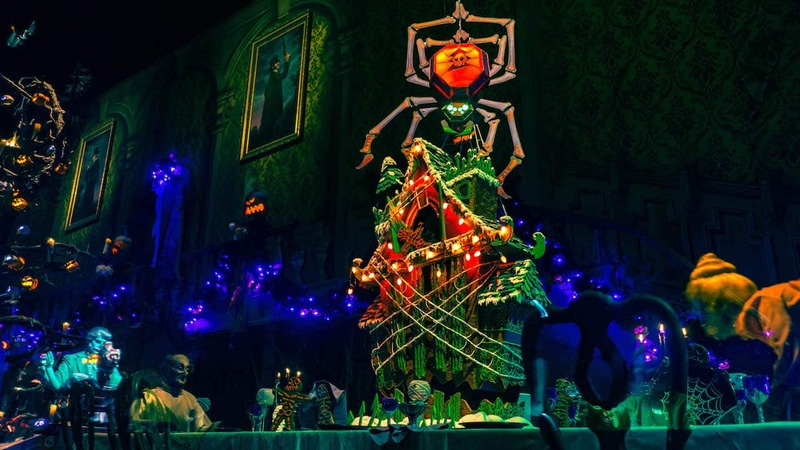 A Kakamora Holiday will be on display through the end of December. Who wouldn’t want to make a trip to Hawaii for the holidays? 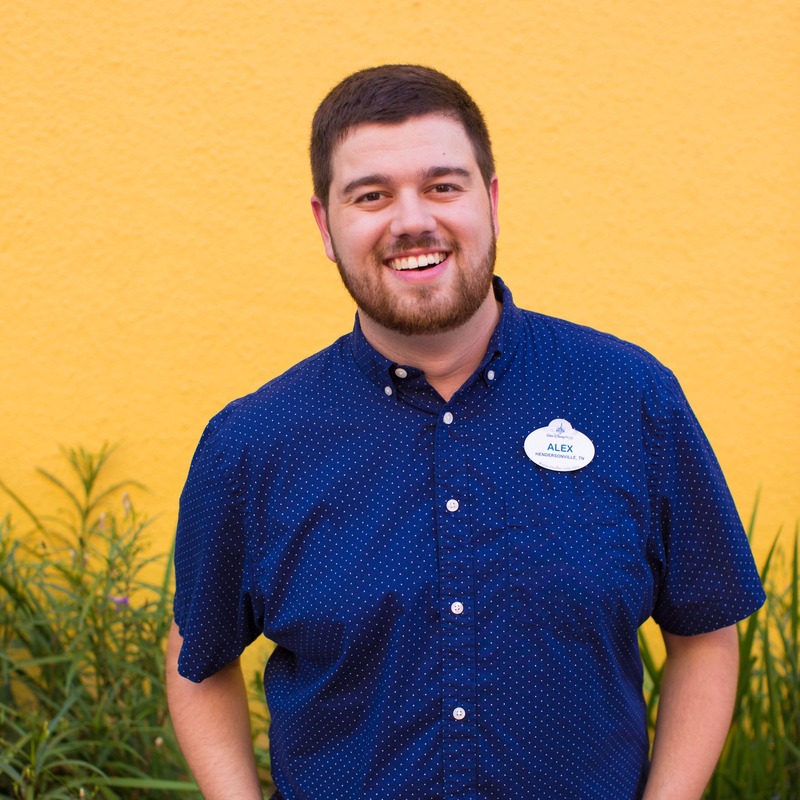 If you’re interested in booking a Hawaiian vacation with Disney or want to learn more about this resort, visit the Aulani, A Disney Resort & Spa website! Each year, the Disney Cruise Line onboard pastry teams build unique displays in the atriums of each ship. These displays are part of annual holiday gingerbread competition between each of the ships’ pastry teams. 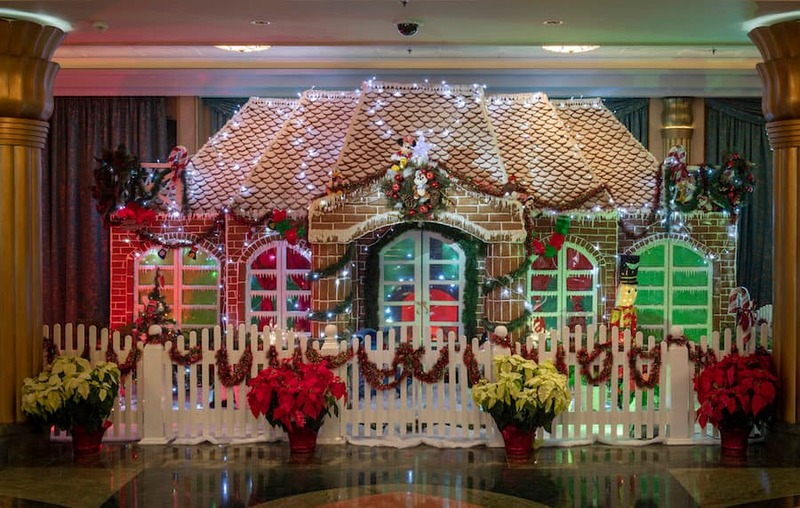 This year, each of the four distinctly different displays features over 600 pounds of gingerbread dough, over 5,000 gingerbread bricks, and over 200 pounds of sugar! These displays take weeks to construct and move onto the ships, and each brick is individually aligned and placed with icing. You’ll find them throughout the holiday seasons on the Disney Dream, Disney Fantasy, Disney Magic, and Disney Wonder ships! 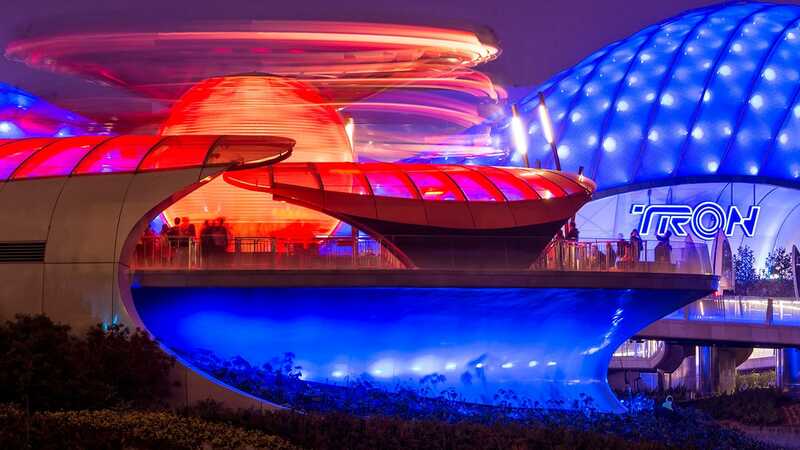 To book a cruise and see these amazing displays for yourself, visit the Disney Cruise Line website! 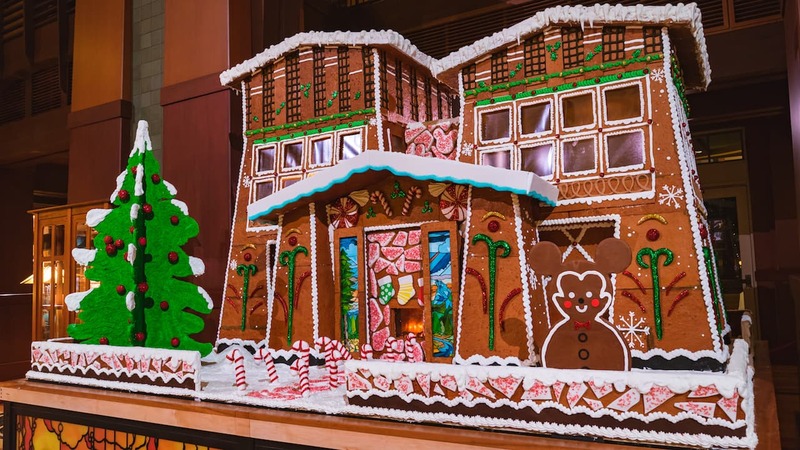 Built by a team of talented Disney artists, engineers, and bakers, this gingerbread house, a replica of Disney’s Grand Californian Hotel & Spa, stands over seven feet tall and is decorated with over 600 pounds of gingerbread! If you look closely, you’ll even find a few hidden Mickeys sprinkled throughout the display. This gingerbread house is located in the lobby of Disney’s Grand Californian Hotel & Spa through the end of the holiday season at Disneyland Resort. 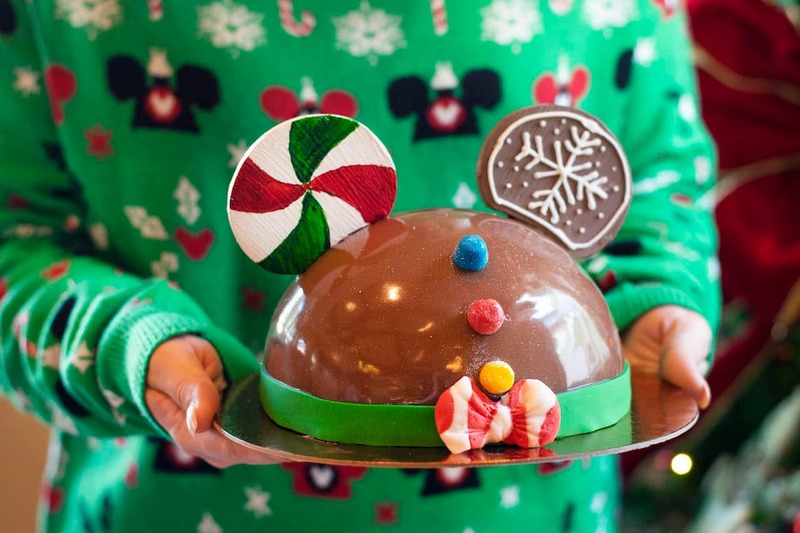 For more info on all of the holiday sweets at Disney Springs – check out my recent blog post with all the yummy details! 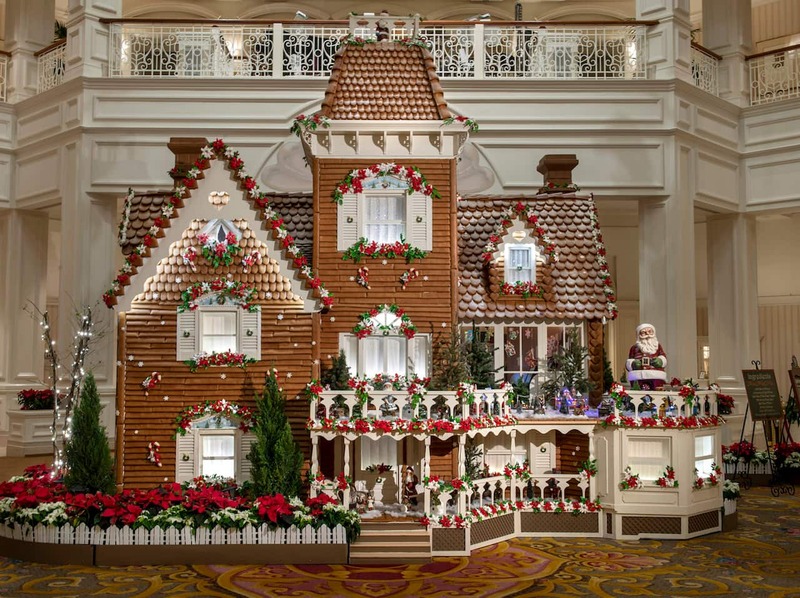 You can also enjoy a Gingerbread House Decorating Demo conducted in front of the display daily Dec. 1-25, 2018. 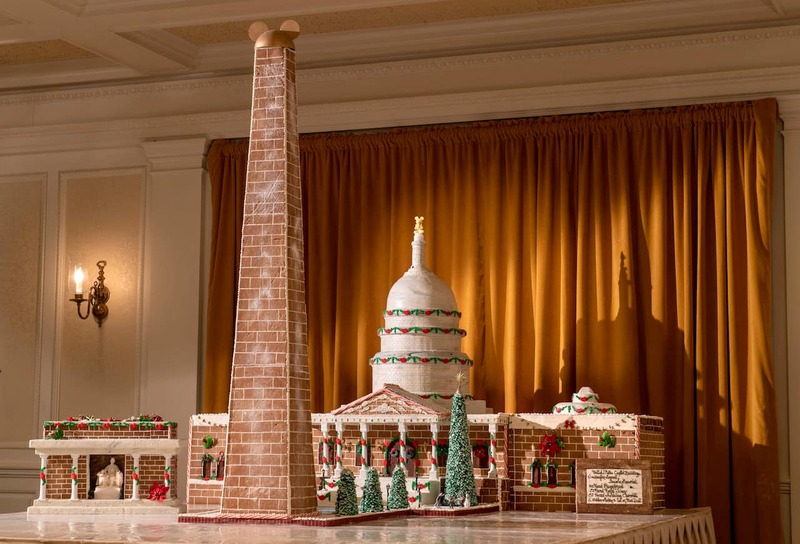 This patriotic gingerbread display features the United States Capitol Building as well as the Lincoln Memorial and a seven-foot gingerbread Washington Monument topped with golden Mickey ears. Located in The American Adventure at Epcot, the display contains six hidden Mickeys and is made with over 50 pounds of gingerbread and 20 pounds of icing! You can visit this display throughout the holiday season at Epcot. You’ll also find a Limited Edition Snow Globe Pin featuring Goofy at Heritage Manor Gifts (available while supplies last). For more information on the holidays, resorts, and theme parks on both coasts, visit the Disneyland Resort website or Walt Disney World Resort website.